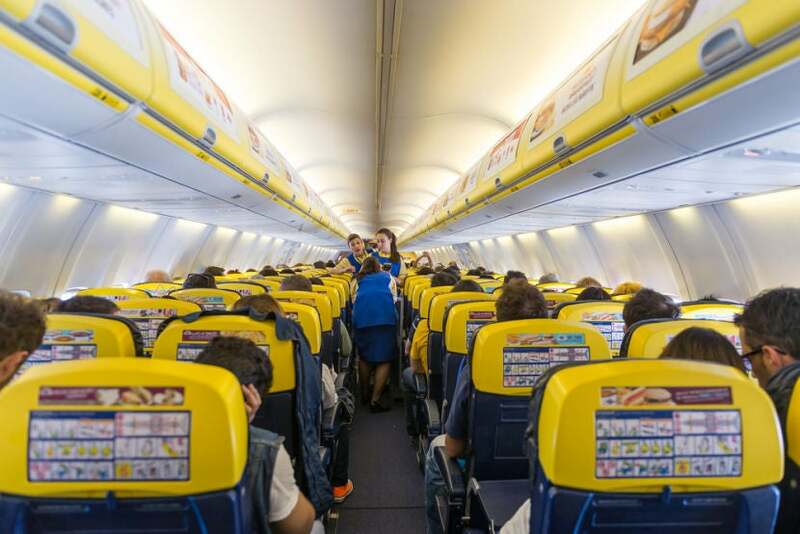 I’ve flown on EasyJet and Ryanair many times over the nearly 10-year span I’ve lived in Europe, and while these low-cost carriers definitely don’t provide a luxury experience, they certainly are easy on my wallet. But which gives you a bigger bang for your (relatively small) buck? Let’s dig in. Both carrier’s websites allow you to book one-way and round-trip flights, and you can pay for extra options — like priority boarding and checked luggage — as you go. Both airlines will also try to get you to book transportation, car rentals, travel insurance and lodging during the purchase, but you can simply ignore that part if you’re not interested and proceed to the next page. Check-in is where things can get interesting, especially with Ryanair. Make sure you arrive at the airport early, as lines are often long on both carriers, and typically there aren’t any elite check-in counters or automated computer kiosks around to help speed things up. It’s also essential that you print your boarding pass ahead of time — if you don’t, you’ll be charged 15 euros (~$18) to print it out at the airport. It’s also essential that non-EU citizens pass through the documents/visa-check desk to get their boarding pass stamped before going through security — without this stamp, you won’t be able to board. Don’t take any chances and make sure you get to the airport early enough to wait in line for this lovely extra step. Note that you can check in online anytime from seven days to two hours before your flight ‚ if you’ve paid to select your seats, check-in is available up to 30 days out. Don’t forget to get the stamp when you’re flying with Ryanair. With EasyJet, print your boarding pass and pay to check your luggage ahead of time so you won’t have to worry about paying any extra fees. If you don’t need to check any bags and you have your boarding pass printed, you can head straight to security and avoid the check-in desk entirely. Note that you can check in online anywhere from 30 days to two hours before your flight. Both carriers offer budget-friendly prices and fly to so many different destinations, it’s hard to really compare them. Pricing will likely depend on your destination airport, departure airport and dates. Always compare prices on both to make sure you’re getting the best deal, and most importantly, note which airport you’ll be flying into — Ryanair is known for flying to and from smaller airports that can be farther from the city center than you think. If you plan to check bags, pay ahead of time on either carrier. If you don’t, you can till tack it on afterward by going back into your online reservation, which will be much cheaper than doing it in person at the airport. Pricing for checked bags at both airlines is calculated by the weight of bags, route and season. Whenever and wherever you go, and on either airline, plan on paying a bare minimum of 15 euros (~$18) per bag, per flight — unless you’re packing light, it’s not unusual for these fees to end up surpassing the price of the ticket. On Ryanair, you can bring one carry-on item with maximum measurements of 55 cm x 40 cm x 20 cm (22 x 15 x 7 inches). You can also bring one personal item measuring 35 cm x 20 cm x 20 cm (13 x 7 x 7 inches). You’ll most likely have to put your carry-on into the metal sizer, so be prepared for this. Most airports won’t weigh your bag, which can only be up to 22 lbs, but I have had it happen a few times in various airports in Italy. If your bag is too big, you’ll have to pay to check it, and the fees will vary depending upon the route and season. On EasyJet, these requirements are slightly more lax, with a maximum carry-on bag size of 56 cm x 45 cm x 25 cm (about 22 x 17 x 9 inches) and no weight limit. Your personal item doesn’t have an exact size requirement, but should be able to fit under the seat in front of you. This small extra allowance makes a lot of difference, and for me, it really puts EasyJet a step above Ryanair. Both airlines will police the requirements, though it’s worse at specific airports. For example, if you’re flying Ryanair in Dublin, you’ll find the staff are super-strict, but if you’re flying out of, say, Madrid, it’s not as bad. You’ll be more likely to get away with an oversized bag if it’s not a rolling suitcase, as the carriers don’t often hassle passengers carrying duffles or backpacks. In general, Ryanair seems much stricter than easyJet when it comes to enforcing rules about carry-on baggage. 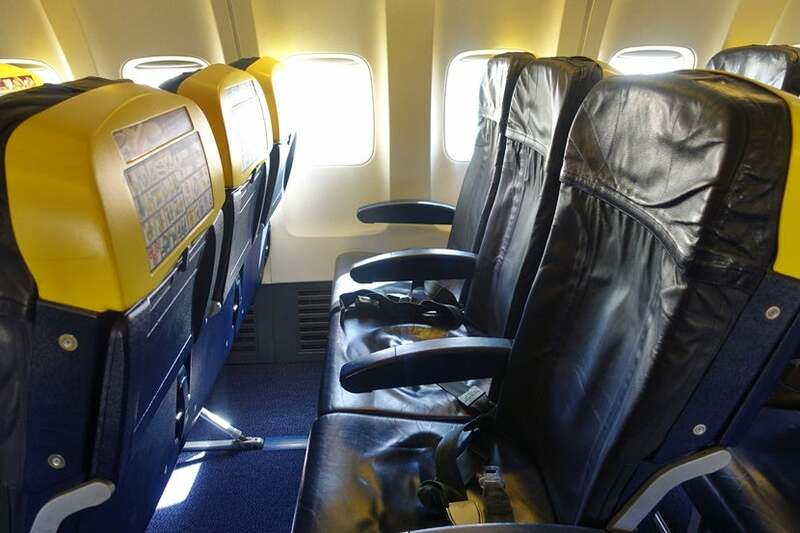 The blue-and-yellow Ryanair cabin and plastic pleather seats aren’t exactly an aesthetic fantasy. The cabin itself is quite small and the aisles seem cramped compared to those on EasyJet. The seats don’t recline and have a width of 17 inches and a pitch of 30 inches. Ryanair cabins are pretty bare-bones and the seat in front of you has a tray table but not a seat pocket. 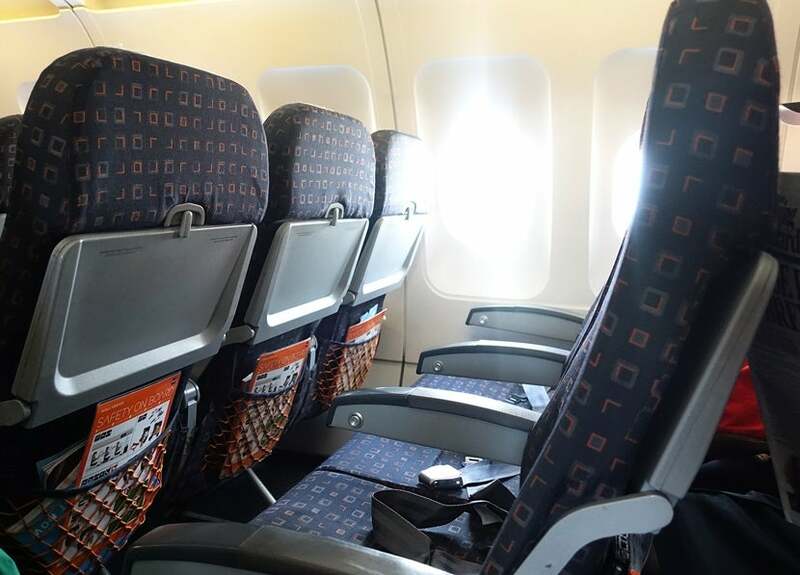 EasyJet’s orange-and-gray cabin is slightly less intense, but not by much. The plane seems to feel slightly larger, perhaps because of its wider aisles. While these seats don’t recline either, they do have a slightly larger width at 18 inches, but a smaller pitch at 29 inches. The seat in front of you has a pocket for storage as well as a tray table. Gray-and-orange seats must mean we’re sitting in EasyJet seats. Because I’m short and most Ryanair and EasyJet flights are just a couple of hours long, I don’t mind sitting in such small seats. However, someone taller may benefit from paying extra for an exit or bulkhead row. 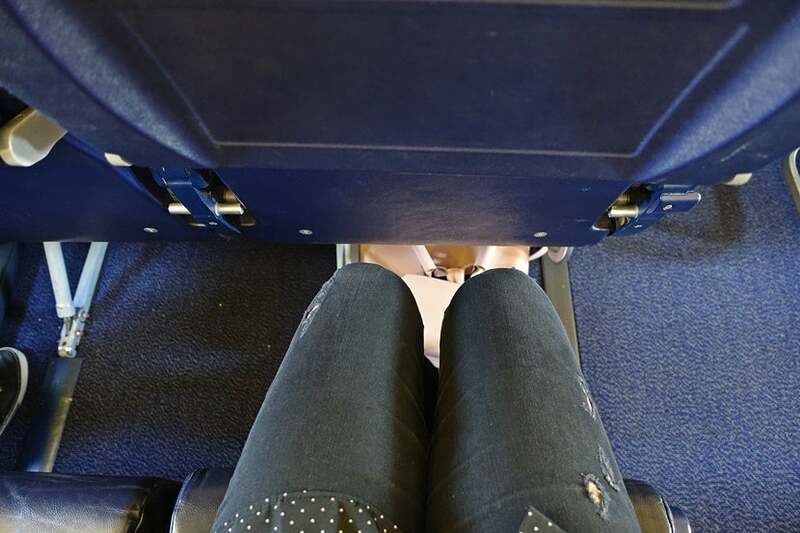 You can read more about seat selection below, but paying a little extra and booking an aisle seat can help with any feelings of claustrophobia that may occur on these flights. Ha! This word doesn’t seem to be part of the vocabulary of either budget airline, so be willing to fork over extra cash for just about everything. Both airlines charge extra for food and drinks, priority boarding and seat selection. Snack-like meal options on EasyJet. I typically pay for both seat selection and speedier boarding when flying either airline, choosing aisle seats up front, which I almost always find to be worth it. For my most recent flights, I paid 2 euros (~$2) on Ryanair for seat selection and 6 euros (~$7) for priority boarding, for a total of 8 euros (~$9). I paid 10 euros (~$12) total for both services on EasyJet, but it’s worth noting that these prices vary by route and season, so this could be a different amount for your flights. I find these extra services to make a world of difference because you always run the risk of either airline assigning you a middle seat in the back. The few times I’ve traveled with group on the same itinerary, we were assigned seats together, so if I’m traveling with someone, I don’t usually pay to select one ahead of time. If you don’t have priority boarding, you’ll have to line up with the rest of the passengers to ensure there will be space in the overhead bin for your carry-on bag. Note that those in the back of the line will be forced to check their bags if there’s not enough room — with no fee, but it’s still a pain.I find in most cases that these two services are worth the money for added comfort and ease. Each airline also offers bundled services and amenities (prices vary). Keep in mind that these fares may be higher than the cost of a flight on another airline like KLM or Air Europa, which automatically allows luxuries like seat selection and checked baggage. 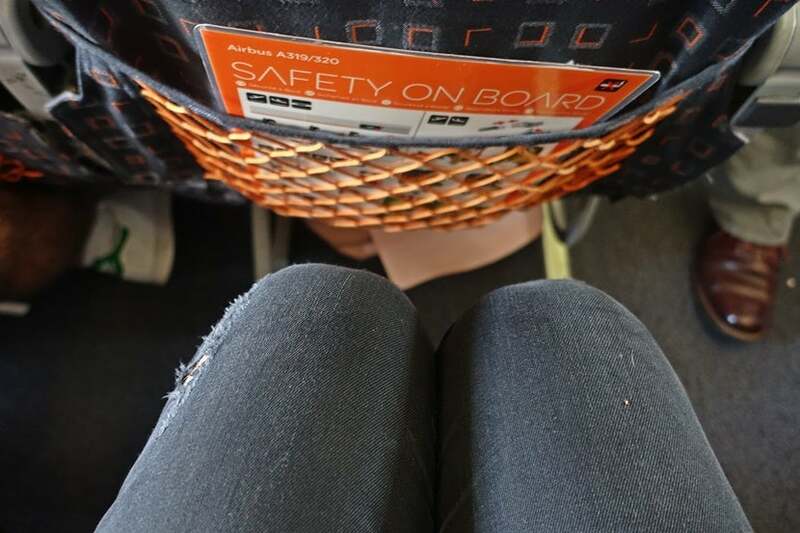 Based on my experiences with both carriers, the in-flight experience is typically better with EasyJet because the flight attendants seem to be less frazzled — probably because they aren’t policing the baggage requirements as intently as the Ryanair flight attendants tend to — and were generally nicer. There are also fewer in-flight announcements trying to sell me things, making for a quieter, calmer flight. Ryanair, on the other hand, always asks passengers to buy lottery tickets, which is super annoying. The Ryanair flying experience with some frazzled flight attendants. Image courtesy of Shutterstock. In most cases, EasyJet is better. It offers a better flying experience thanks to larger carry-on allowances and less airport hassles because you don’t need to get your boarding pass stamped. Its flight attendants are nicer, and the overall experience seems slightly more high-end than that of Ryanair. Why fly Ryanair at all? Well, sometimes its deals are the cheapest out there. The carrier also offers many route options that EasyJet and other airlines just don’t fly to. Who do you think wins the battle of the budget airlines, Ryanair or easyJet? Sound off, below. Featured image courtesy of Shutterstock. All others by the author unless otherwise indicated.